'Cause I know when histories would run their course. They'd always find you beside my chest. You had become my dream long ago. Running in my veins as blood. Hypodermic even one can say. I know I can always feel you. You were with me since the very start. you were already there when I learned to talk. You were stabbed in my heart through & through. To anybody but to you. Sometimes when I lay on grass. I could see colorless circles against the winter sky. In between trails of smog left by planes. And then it always spreads out. Like a thought caught inside my paranoid brain. It ultimately takes over everything. I always wish the line remains unbroken. It shud not turn into a cloud and then disappear. Wiped out from my memory, one by one. wherever they go. They dont look back. Sometimes in the middle of a day. I regurgitate texts in every direction. The numbers dont matter, the signals dont clash. I Just Hit Send without a care. Volleys of threads no one ever understands. See, I entangle them on purpose. So that noone could guess your presence. Only I do and I don't want to share. To carry what I really feel to say. They easily subjugate any thoughts at bay. Any life still left in me. But like a whip they turn the skin blue. Tell me what's the use of the words? Does anyone have any other clue? Is not it just to make others silent? Shout till he shut that hole in his face? Or is it something what man needs to be a man? I have seen a great many deals of sentences. In dilapidated tombs and in incomplete castles. Although I have not found the purpose. I dont think it's just a remainder of heroes' deed. It alludes to rather our shallowest needs. To see yourself being someone or something. You need not even lie through your teeth. I have always been successful to find and grind you. I have been able to desecrate the stone and invigilate the sand. But the shore-crashing waves always wipe away whatever I write. The hours ask me are they beautiful? Shining like a coin under shallow water. Any stone I wanna take home? Like a mole cutting an ocean in half. My wishes inhumed in your eternity. I dont need to search you coast to coast. I just release a helium balloon in air. Always knowing it will reach you in time. And when I were in my prime. You would seek me, my camaraderie. We would go hand in hand. I never come across a needy person. If the belly of earth upturned or churned. Deep down I know what I had had cannot be taken. I have been always invincible. And you have always been intractable. Does not it turn out to be rather well? You talk always. I never tell. And somehow that remains our spell. Revealed at the first chance of betrayal. We enchant everyone, pincering their moves. Sending a subtext, remembering something new. If you ask me do I enjoy generating them. I would have to say- I do. I throw them at them with heap and tome. Remaining online till they are gone. And when I grow tired of tongue. I cut the wrists to let you flow. The light above gives us a gregarious glow. I contemplate the mutilated show and feel break-free. Another deep wound masked as injury. I have mastered this art like a trick. I dont need to be a genius on the keys. I tap the enormous potential of this boom. Against the eternal wall of gloom. 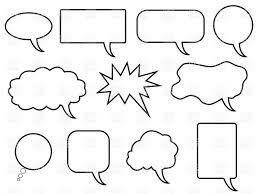 I keep sending empty speech balloons. 'Cause they are all that matters and it behooves me to do. This poem is © 2018 by AJ, to whom comments may be sent.